Date/Time: July 9, 2011 at 4:38 p.m.
Backstory: Food Network airs the ever-annoying "Diners, Drive-ins and Dives" dessert version, "Kid in a Candy Store" and while most of the time the host gushes over the exoticness of a pomegranate Tootsie Roll Pop, from time to time they visit places human beings actually give a crap about. The Sprinkles of caramel apple storefronts, Sinfully Sweet Apple Company is such a place. The Results: Pretty freaking awesome. 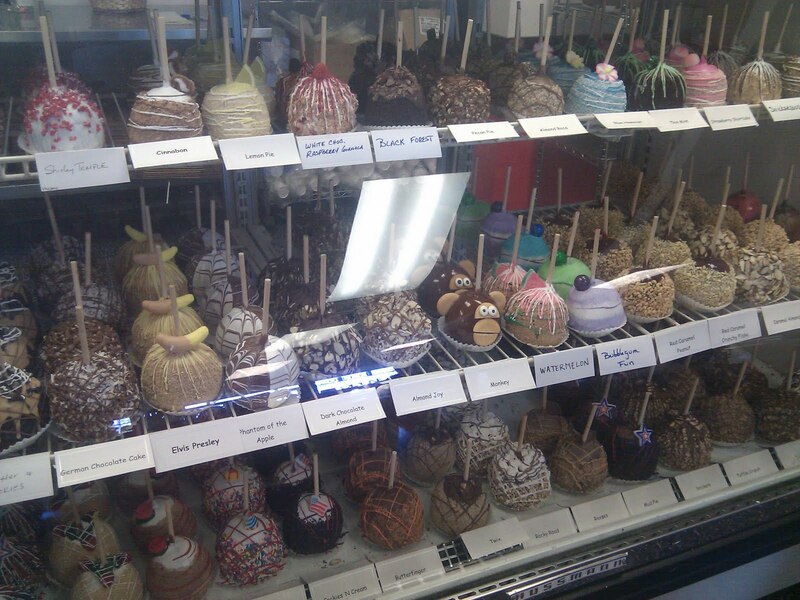 Dozens upon dozens of flavors of caramel apples. The apples are fresh and crisp. The caramel topping isn't too gummy either. And the white (or dark or milk) chocolate on top doesn't overpower the rest of the treat. 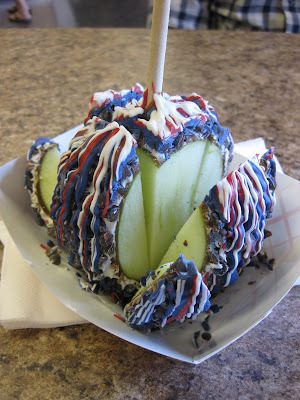 Now: do I say drive 45 minutes to La Verne for a freaking caramel apple? Ehh... probably not. BUT, if you find yourself heading to the Ontario airport, or, in my case, the closest drive-in movie theatre (friggin Pomona), definitely try to make time to swing by Sinfully Sweet. 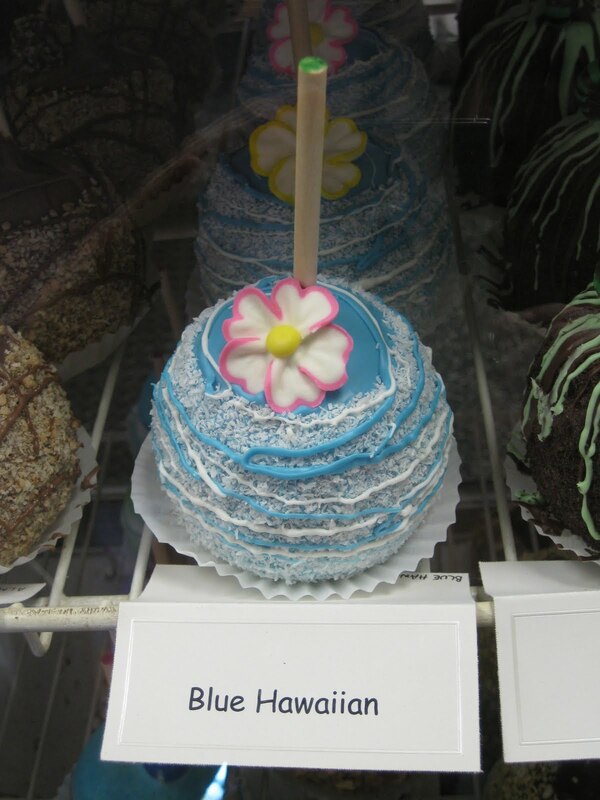 The Snickerdoodle Caramel Apple - a caramel apple covered in white chocolate, rolled in crush Snickerdoodle cookie with a white and milk chocolate drizzle. 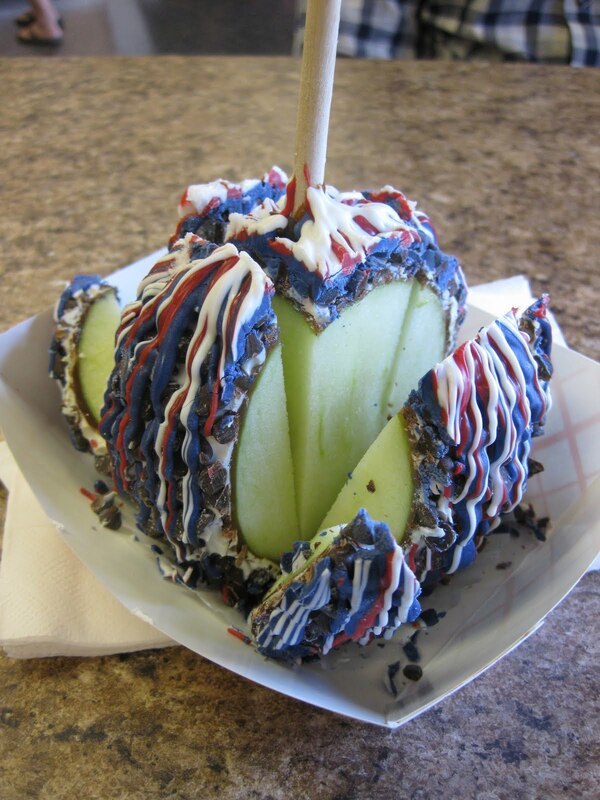 The Avalanche Caramel Apple - a caramel apple covered in white chocolate, rolled in chocolate chips and drizzled with more white and milk chocolate. The Blue Hawaiian Caramel Apple - a caramel apple covered in blue pineapple-flavored chocolate, rolled in crush macaroons and drizzled in white and blue chocolate. Which of these was the worst tasting? Dear Mr. Anonymous... there is no worst :D just the best tasting carmamel apples ever!!!!! !